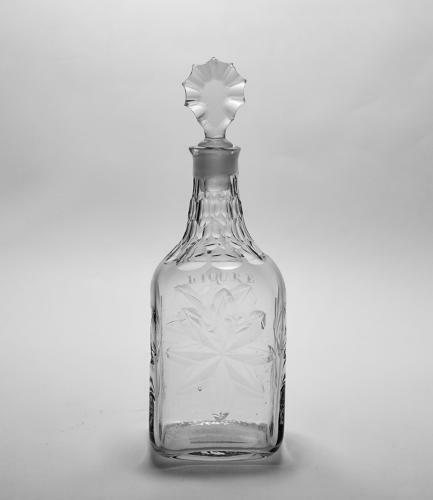 Liqueur decanter the square body decorated with flat cut outlined stars, cut brickwork to neck and facet cut disc stopper Engraved ‘Liqure’ English C1780. Height to stop of stopper: 21.5 cm. Height to top of neck: 17 cm.